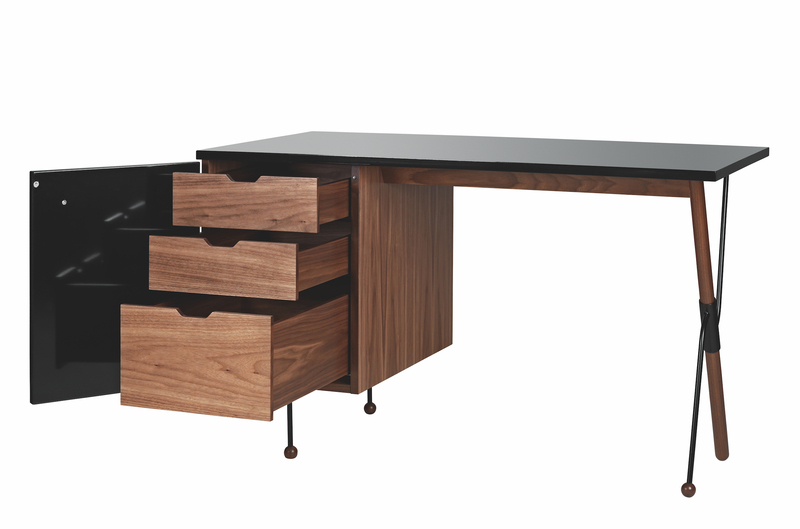 Gubi - Desk and Dresser "62-series"
The new Grossman 4-piece furniture collection illustrates the designer's penchant for unusual pairings of material: in this instance, American walnut, which forms the main body of the pieces and powder-coated metal, used for the legs. The slender metal legs, with their ball shaped feet, contrast sharply with the wooden form, giving the furniture a characteristic appearance of lightness, the pieces almost seeming to defy gravity. 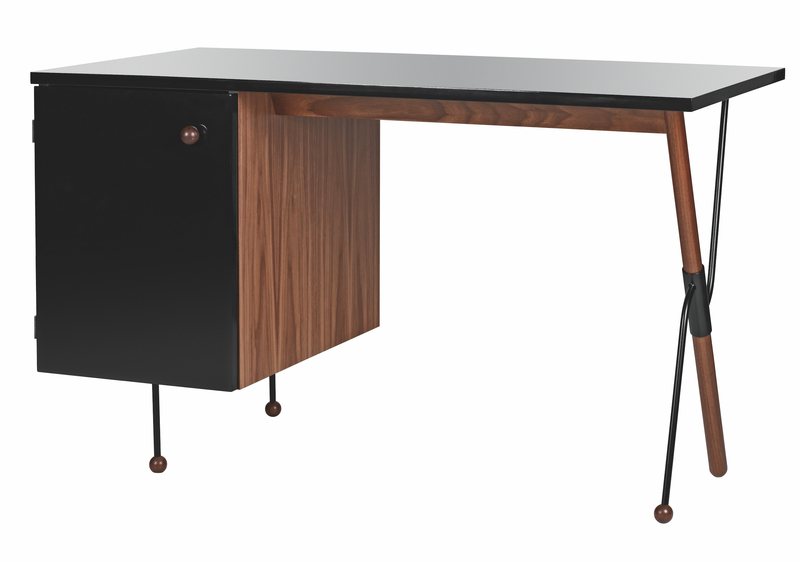 A deep, black, protective full gloss finish on the desktop and additional surfaces is striking when juxtaposed to the richness of the American walnut. 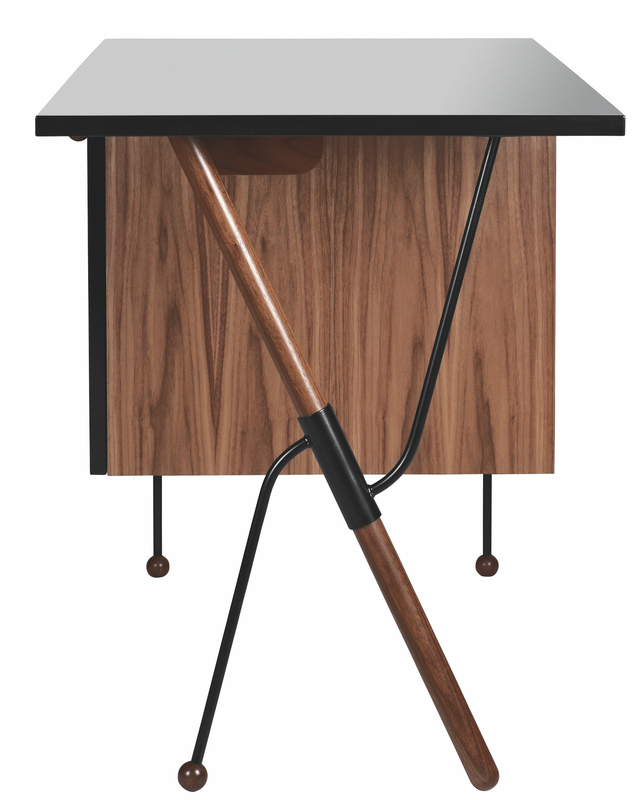 The furniture brings a clear sense of humor into play. 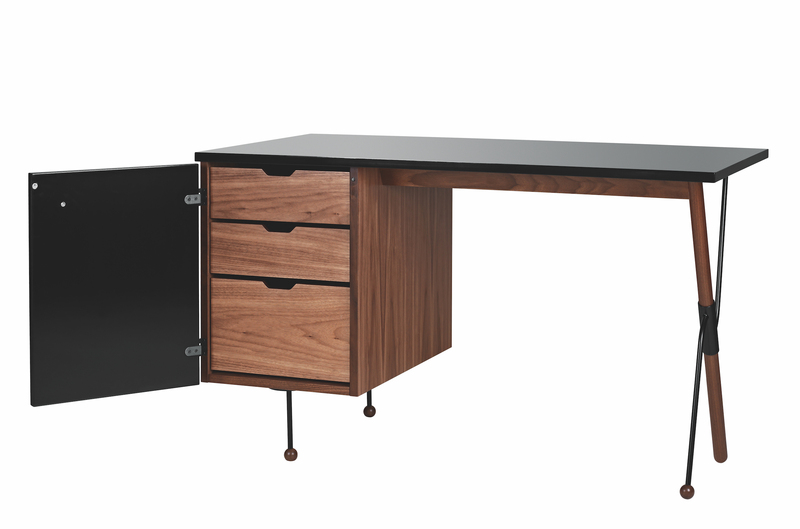 The three additional pieces: a single dresser with drawers, double dresser with drawers and double dresser with drawers and side cupboard, illustrate the elegant formal language of Grossman's singular style. Although she made most of her career in the United States, Greta Magnusson Grossman is a swedish designer and architect, imbued with the teachings of the founding fathers of Scandinavian design. Her lamp Grasshopper is representative of her style, at once pure and very expressive.